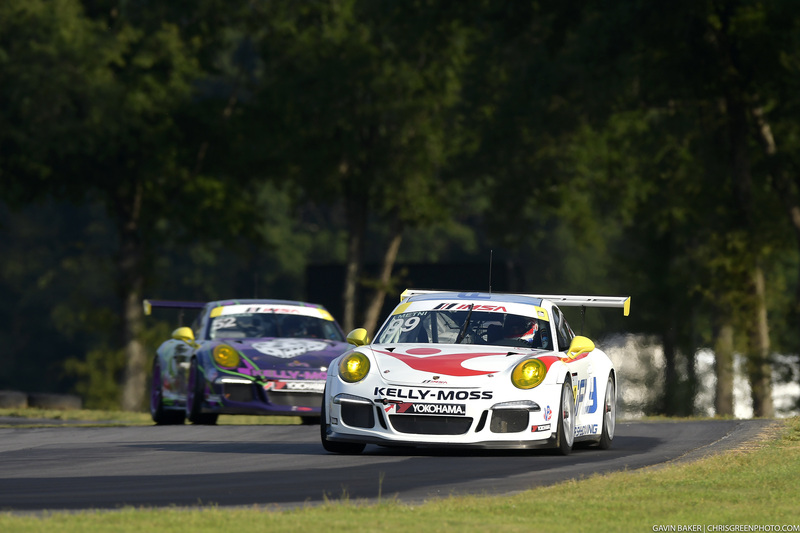 Alton, Va. (28 August 2017) – Kelly-Moss Road and Race (KMR) was back at it this weekend as the IMSA Porsche GT3 Cup Challenge USA by Yokohama traveled to VIRginia International Raceway for a double-header event. KMR brought home two more podium results over the weekend with strong performances by all four of its drivers. 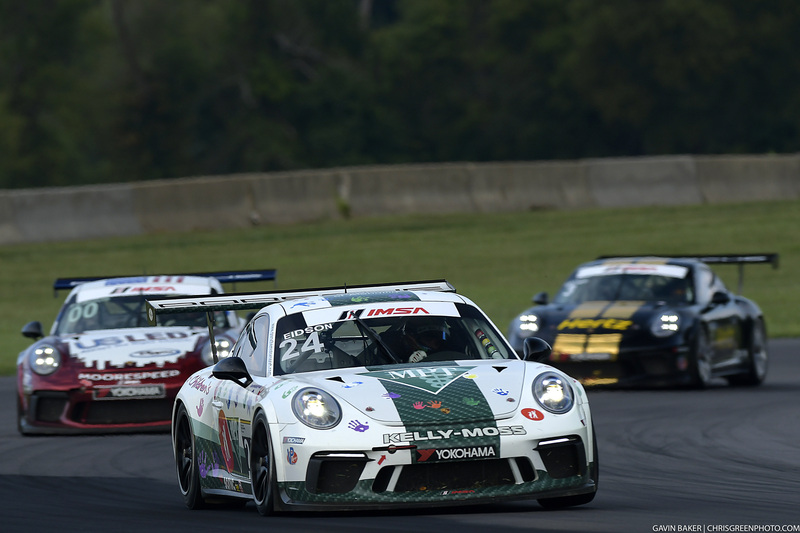 The team fielded four cars in Race 1 on Saturday. Championship leader Jake Eidson started on the inside of the third row in the No. 24 Porsche and moved up to second and held his position while defending against the cars behind. 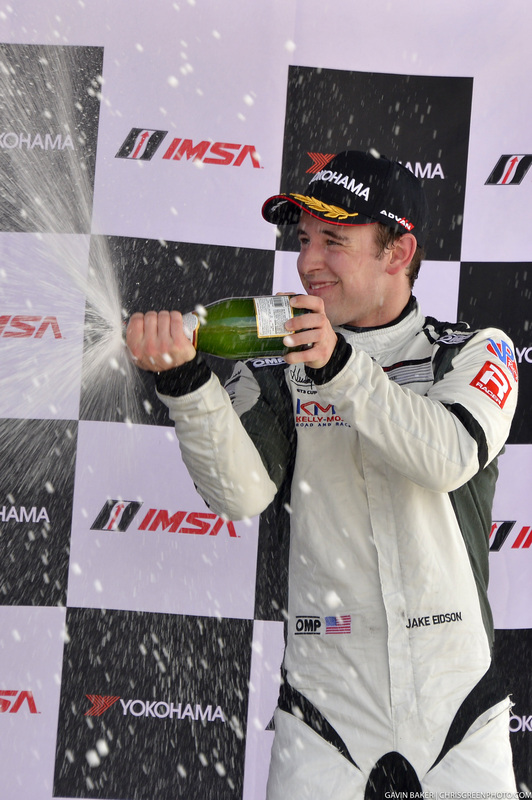 Eidson’s run to his ninth podium result of the year was thwarted by some bad luck in traffic, but the young American racer showed a champion’s poise as he elected to take the smart route out of a dramatic four-wide scrap for position late in the race. The No. 99 Kelly-Moss Road and Race Porsche broke through for its first podium finish of the season with a third place result in the Gold class. Greg Palmer in the No. 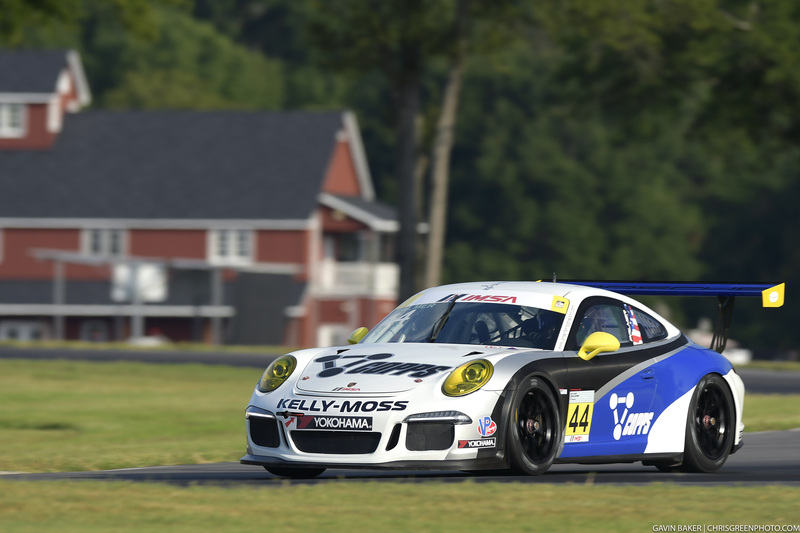 44 Copps Industries Porsche, who continues to improve his race craft with each round, took a top-five finish while Kurt Fazekas finished eighth in the No. 52 KMR Porsche machine. In Race 2, Eidson opened the race from fifth on the grid. He quickly worked his way up to run fourth and by keeping it smart, clean and consistent, moved to second in the order as he took the checkered flag and the precious championship points to go with it. The No. 44 and No. 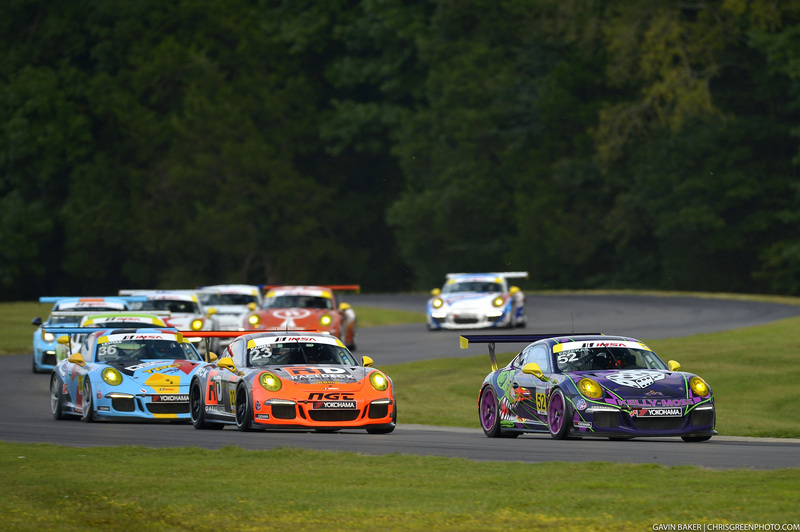 99 Porsche entries also showed well in Race 2, picking up fifth and eighth place, respectively. The IMSA Porsche GT3 Cup Challenge USA by Yokohama series returns to action at Sonoma Raceway for another double-header event September 15-17as part of the Verizon IndyCar Series event.